My husband, Kris and I did pre-marital counseling with marriage and relationship experts, Phil and Tammy Hotsenpiller. In our first session with them, they outlined 5 of the most important factors to consider and communicate about before walking down the aisle. It’s so important to have these standards in place in order to to prevent a big mistake which leads to unnecessary heartache. 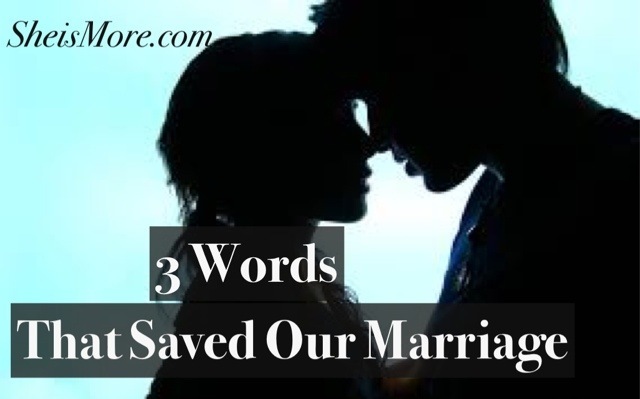 Kris and I believe that the best time to prepare for marriage is before you have one. If you’re in a relationship now, see how these check out. If you’re single, use these as a great guideline when considering who is a wise person to invest your heart in. The best marriage advise I ever received is from my favorite Psychology Professor, Dr. Jeannie Golden, “Choose Wisely.” Listen to our podcast with Phil and Tammy to help you choose wisely. Friends- What are his friends like? We are the average of the 5 people we surround ourselves with the most, so their friends are a great indicator as to who he is when he’s not in “impressing you” mode. Does he have friends? Is he a bridge burner or relationships keeper? How does he treat them? Are his friends kind and respectful towards you. You should be able to hang out with them in group settings and feel uplifted and relaxed. You may not love everyone and they may not be best friends with you, but there should at least be respect in treating you well. Also, your man should always cover you and make you feel loved no matter what the circumstances are. While dating my husband Kris, I was worried his friends wouldn’t like me. Kris said; because I love you, they will love you. This helped me to feel confident and you deserve that too. You also want to be able to trust your guy with his friends, knowing they will hold him accountable to be his best self so your relationship can thrive in a healthy environment. Family- Pay attention to his relationship with his family. Consider it a red flag if he doesn’t have one at all. While there are extenuating circumstances, you want to see that your future husband knows how to resolve conflict and repair relationships when conflict arises by extending forgiveness through his humility. How does he treat his mother? It sounds cliche, but it’s so true that how he treats his mother is a great indicator as to how he will treat you one day. Some people have the notion that when they get married, they’re going to be in their own little bubble away from the world. But in reality, when you get married, you are also marrying their families. So consider how they treat you. How do you feel when you’re around them? If they are not warm and welcoming, then your guy should absolutely cover you and let them know that you are important to him, therefore they need to behave considerately. They should feel lucky to get you as a daughter in law. Finance- Finance is a leading cause of divorce. It doesn’t matter if you’re poor or rich, it’s how he handles his money that matters. Is he responsible? What does his spending and saving habits look like? You definitely don’t want to end up married and then discover he overspends, has ruined credit or a substantial amount of debt that will add strain to your relationship. Do you both at the same ideals and philosophies on money matters? When Kris and I got engaged, he were completely transparent with our financials and discussed mutual short and long-term goals. Money is a very sensitive topic for me and is for many people, but open and clear communication up front will prevent detrimental surprises later. And remember, where he spends his money is where his heart is. Future- Pay attention to his ambitions and vision for his future. Does he include you in his future plans? It’s important to share similar goals and a future vision so you can dream together rather than drift apart. Teamwork equals dreamwork. There are married couples who are doing completely different things and going in opposite directions, and it can work well for some of them. In general, it will make life a whole lot more pleasant and enjoyable if you can have stimulating conversations about your shared dreams. If you want to be Hilary Clinton and he wants to be a farmer, you probably don’t have a future together. Why wait to let the tension manifest, leading to a more painful break-up than it has to be? Faith- Do you share the same faith and beliefs? At the end of the day, the last thing you want to argue about is what you consider to be the source and foundational principles of life. Don’t be stubborn and insist that you have to learn this on your own by experiencing it. True wisdom is learning from other peoples mistakes, so take it from me. I dated a man of another faith for 3 years. Eventually, I thought I wanted to marry him and this led to compromising my faith in order to be with him. But I had to painfully realize that compromising the very essence of your foundation is a red flag. While some inter-faith marriages work, it sure does make life it a lot easier to go to the same place on Sunday. It also makes a marriage stronger to pray and support each other with the same beliefs and in the same spirit, to the same God. Don’t let love blind you now and wake up when it’s too late. Use these tools and wisdom to protect your destiny, your dreams and the future love story you deserve. Now you have standards to look for in a partner, but don’t worry because next week, I’ll dish the standards to keep for yourself! Listen & Subscribe to Relationships Radio on iTunes! Really excellent write-up. I recently stumbled upon your own site and needed to mention that I have got truly adored looking a person’s web site threads. Of course I’m going to be following in your give and I’m wanting you’re writing all over again immediately! This has truly been a God send this website. The topics are relevant and have answered several questions I have been wrestling with. Your Comment *if everything else matches but his family members dont treat u as their prospective daughter inlaw wat she u do ??? Am really impressed with this lesson, it has cured my headache on this area.